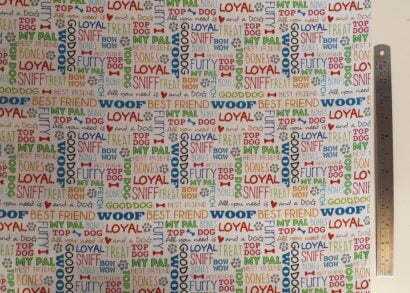 Fabulous fabric for any dog lover! 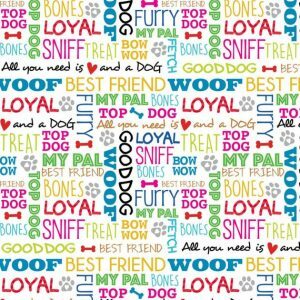 Colourful words repeated on w white background with words like ‘my pal’, ‘top dog’, ‘best friend’ and ‘all you need is love and a dog’. The photo shows a 30cm ruler alongside to help see the scale of the patterns.